A masterful defender with a knack for clutch goals, Sergio Ramos reigns among football's elite. In recognition of his many achievements, Ramos joins the likes of Ronaldinho, Totti and Pirlo in receiving his own player-edition Tiempo boots. 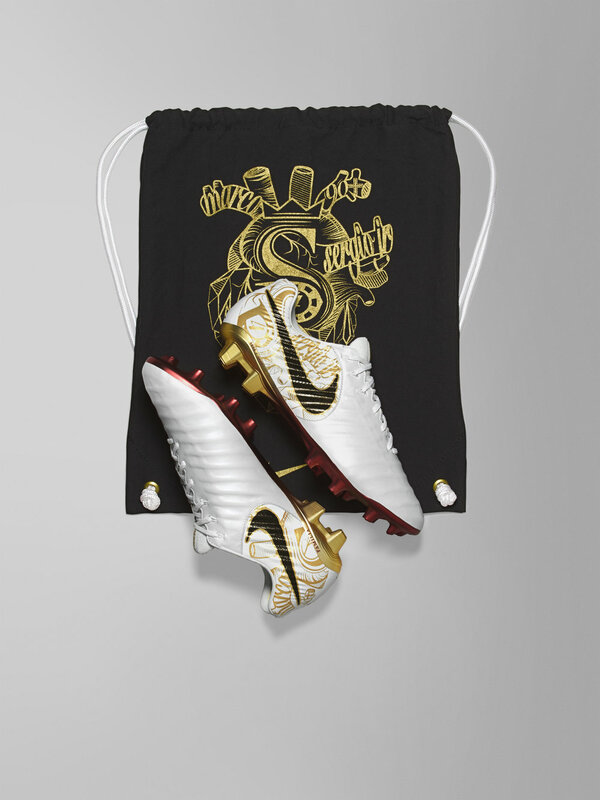 Dubbed “Corazón y Sangre,” (heart and blood), the boots pay homage to the Spanish footballer's values and roots. 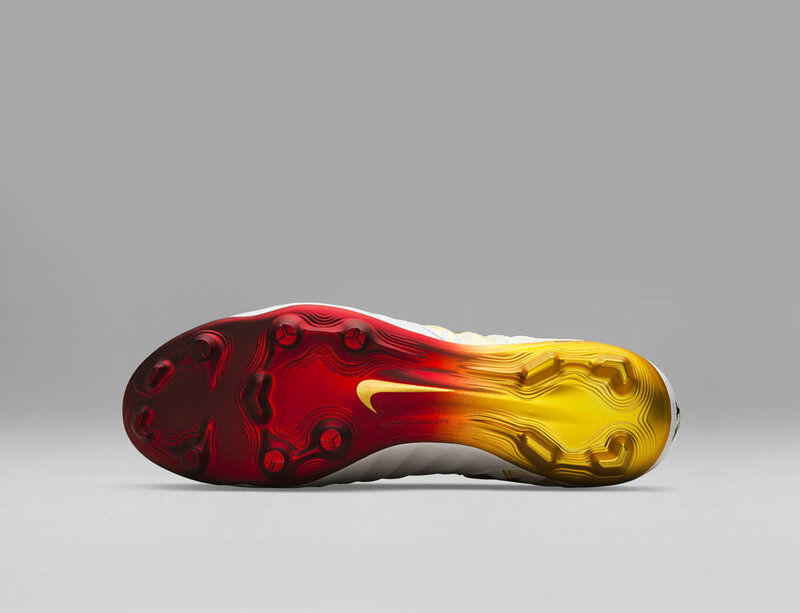 Ramos was very involved in the boot’s design, applying personal touches throughout the process. His affinity for white Andalusian horses inspired the pearl leather colorway. The new SR4 logo that appears on the heel counter and sockliner incorporates a horseshoe into the R as an additional tribute to the Spanish war horse. 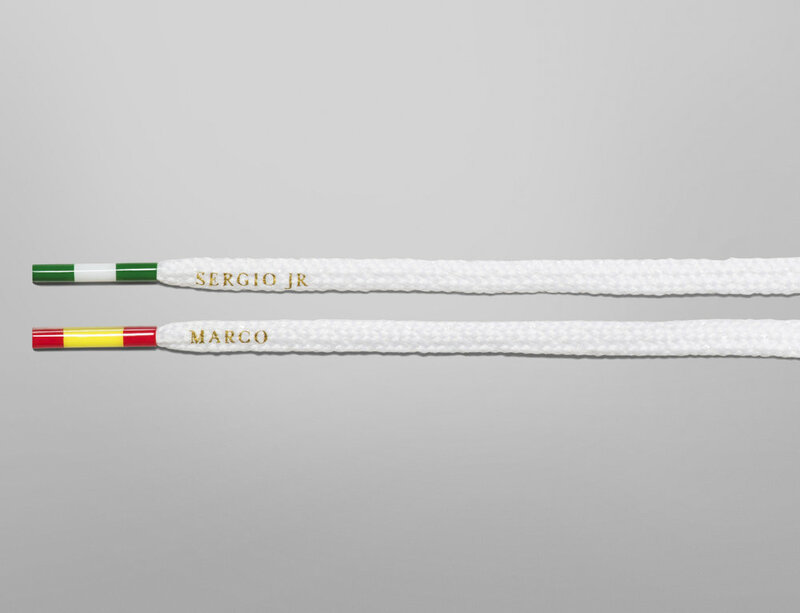 Nods to Andalusia (Ramos' home region) and Spain can also be seen on the lace aglets, where the respective flags are represented alongside the names of his children. Another area of emphasis for Ramos is family. “Familia” is etched onto the side of each boot. The tongue of the boot reads “Rn'R,” for Ramos and (Pilar) Rubio, his longtime love. The couple has two sons, Sergio Jr. and Marco; both of their names appear within the elaborate crest on the sockliner and boot bag. The crest is in the shape of a heart that transitions from blood pumping realism to cubist interpretation. Befitting a player known as Noventa Y Ramos, "90+" appears on the upper right vessel in acknowledgment of the late game goals Ramos has scored in his career. Ramos added, “hambre, carácter, pasión” (hunger, character, passion) along the medial side of the boot’s interior. These words carry great meaning to Ramos as he thinks about his captaincy and the legacy he intends to leave. The gold touches on the boot represent the success Ramos has had with both club and country. Gold transitions to blood red on the sole plate to round out the Corazón y Sangre storyline. “After so many years playing football there’s a boot that expresses the way I feel and who I am, they tell my story. Every element here is personal. It is a dream come true," says Ramos. "Corazón y Sangre — these two words are important to me. Heart is about my commitment to what I do. And blood is what’s in your DNA, what you have inside to become the best." There will be 4,000 pairs of the boot available December 19 on Nike.com, the Pop-Up House of SR4 in Madrid and select retailers.